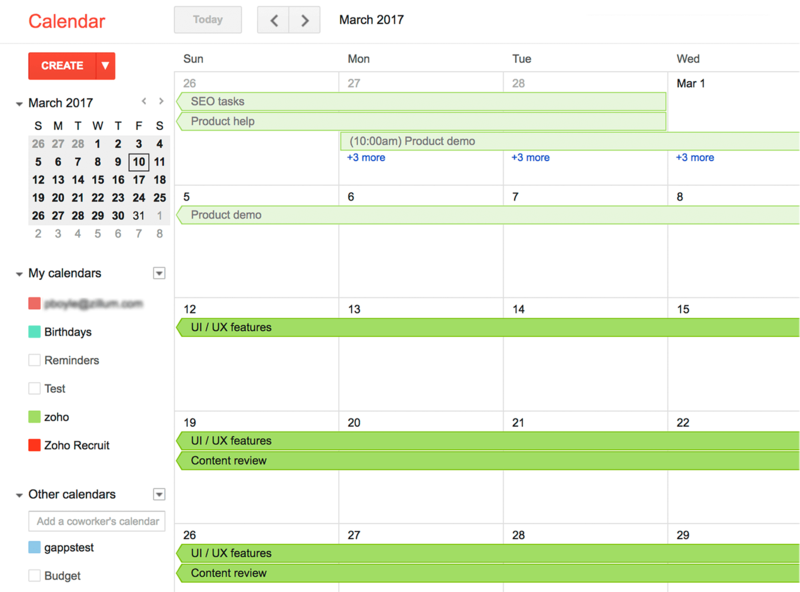 You can now sync your Google calendar with Zoho Projects and track your project milestones, tasks and meetings. In the Home tab, click View More in the upper-right corner in My Events. In Calendar, click Other actions in the upper-right corner, in ICS help copy the gcalendar link. In your Google account, click Calendar. Click Other calendars drop-down and then choose Add by URL. 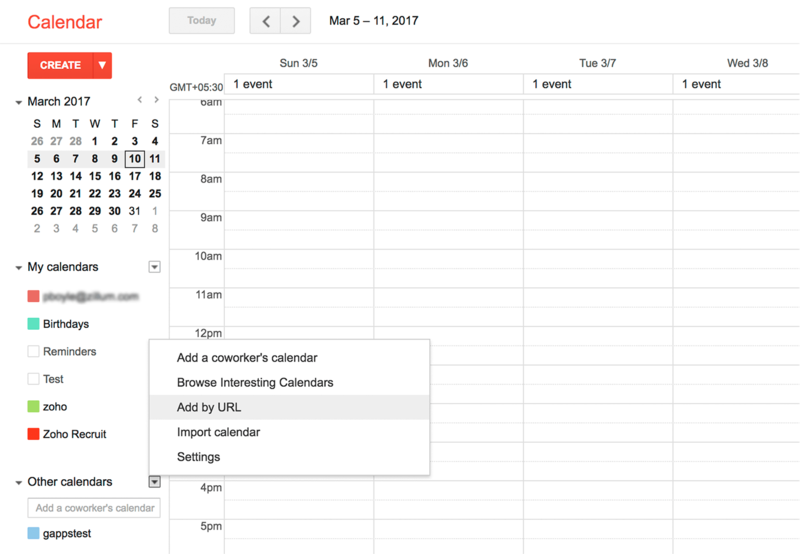 In URL paste the copied gcalendar link from Zoho Projects and then click Add Calendar.